I recently saw this item on the internet and it jarred my memory from way,way back. 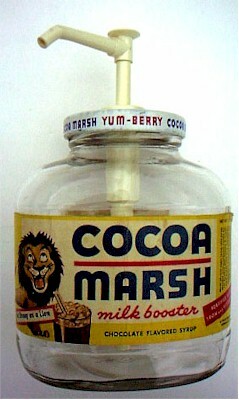 This was my all time favorite chocolate milk syrup, bosco being a close second. I had almost forgotten about this product. It wasn't quite as sickeningly sweet as one might have anticipated, due to the marshmallow ingredient, but that sweetness was tempered by its darker semi-sweet chocolate content.